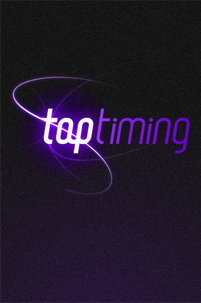 Simple, Intuitive and Accurate - Tap Timing is a refreshingly different Race and Event Timing System. Whether for large scale events or smaller race meetings Tap Timing works brilliantly every time! 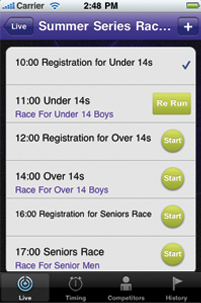 Tap Timing gives you the ability to easily Plan, Arrange, Race and Share your race season. Firstly, you’ll ‘Plan’ the season using the Event Plan. You’ll create an Event Plan for your season that will include the Races you want to Schedule. Next, ‘Arrange’ your Event Plan using the Event Schedule Wizard. Tap Timing will prompt you for the number of events to create within the Event Plan. It will automatically create them for you so that all you have to do is fill in the details! After arranging your events the Event Schedule Wizard will ask you if you want the events to be part of a league. A simple ‘Yes’ or ‘No’ puts them into a league, or creates them as standalone races. Once you have completed the Event Schedule Wizard, your events, in date order, will appear on the Live Race Diary screen. The first part of setting up your race season is to create an Event Plan. The Event Plan holds all of the events and races for your season. Manage your categories and add them to the races you’ve created. Now that you have created your Event Plan and added your races, race categories and registration information you can now create and arrange your event schedule. The Event Schedule Wizard will guide you through the process. The races you have created will automatically be added to the events you create. 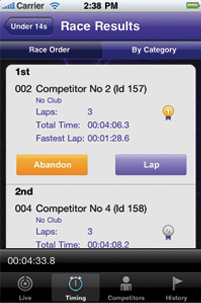 Your events will automatically be added to the Live Race Diary once you have completed the Event Schedule Wizard. Now that you have planned and arranged your season let’s Race it! Your events and races are scheduled in the Live Race Diary. You can now register your competitors for a race. You can also start the event and this will automatically schedule your races ready to be timed. On starting an event, if you look at the Timing Screen you’ll see that your first race is ready to start. Supports ‘DNF’ should a racer decide to abandon the race. The Race is over! All that remains is for you to Share it with anyone interested in seeing the race results. A full history of every race you’ve ever run with the ability to adjust the results if and when competitors query their race position and re-publish to the Internet. 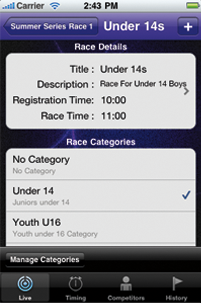 You can provide some text too to say “Updated Results for Racer 72” – it’s entirely up to you, the Event Organiser! Copyright (C) Tap Timing 2010 - . All rights reserved.